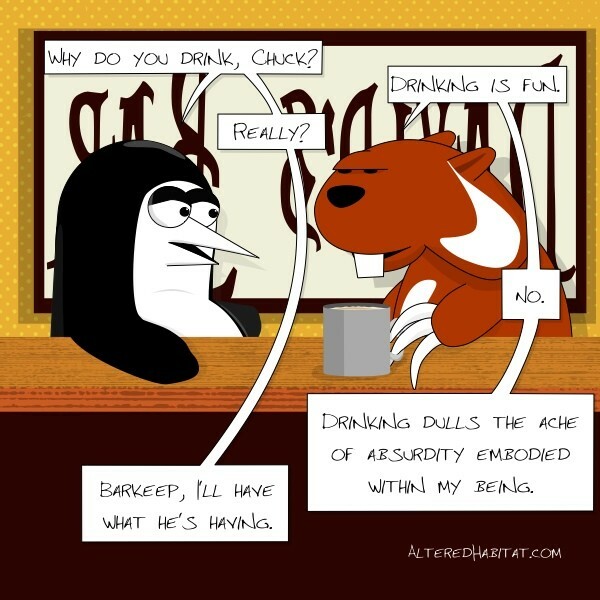 Sitting in David’s Bar, Penguin has a conversation with Chuck. “Why do you drink, Chuck?” asks Penguin. “Drinking is fun.” responds Chuck.